David Bywater is the Chief Executive Officer at Vivint Solar, a leading full-service residential solar integrator. Prior to joining Vivint Solar, David served as COO at Vivint Smart Home and was executive vice president at Xerox. Earlier in his career, David was a consultant with Bain & Company and the Monitor Group. What happened when he was 14 years old that changed the course of his life. For me, I'm very driven by achievement and experiences, and it's never really been the accolades or other things that have really motivated me. I've always had this strong desire to just achieve, against a set of goals I set for myself when I was 14 years old. I still have that list, and I still look at it every year. And, my new goals for the year are all about advancing that list that I started when I was, and I've added to that list, obviously, but it's amazing how my life has been largely driven by a list I put together when I was 14 years old. Welcome to Seeking Excellence, I'm Brett Pinegar. In my work, I help executives and teams become their best, and enjoy the remarkable results that striving for excellence enables. You can learn more about my coaching, peer groups, training programs, and consulting services at brettpinegar.com. You can also follow me on Twitter, LinkedIn, Facebook, and Instragram, @brettpinegar. Check the show notes for all the specifics. The Seeking Excellence podcast is all about helping us understand what makes leaders, that are striving to be their best, tick. What are their beliefs, or mindsets, about how the world works, what motivates them, and how do they bring their best to their work? And then, we take those insights to uncover things we can all do, to live and lead with more intention. If you enjoyed this podcast, we would appreciate it if you'd take time to subscribe, rate, review, and share it with others. And, if you've got suggestions for people you would like to see as guests, email us at seekingexcellence@brettpinegar.com. Now, let me introduce my guest. David Bywater is the CEO at Vivint Solar, a leading full-service residential solar integrator. 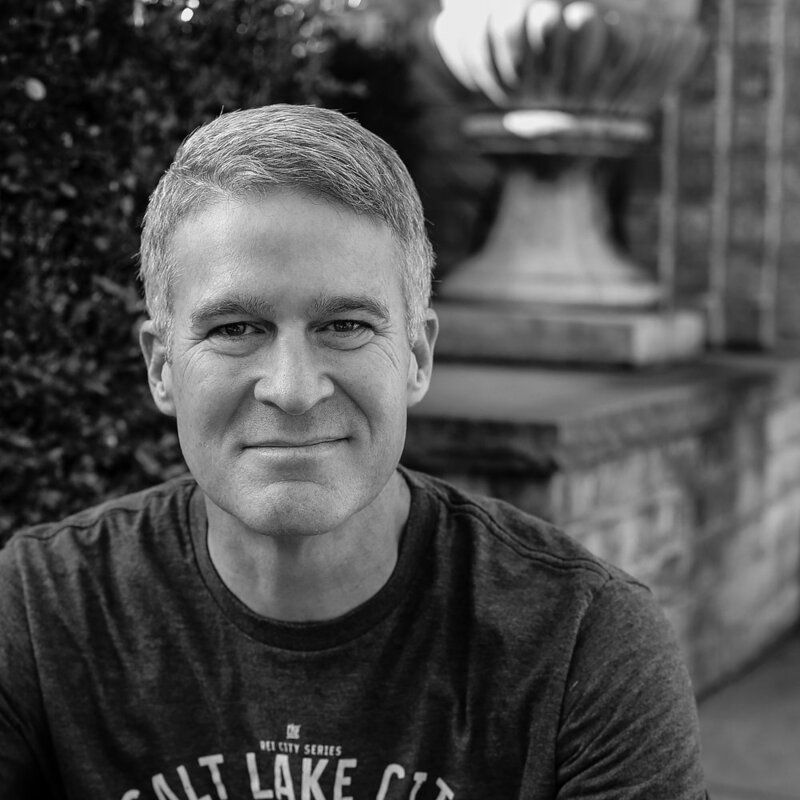 Prior to joining Vivint Solar, David served as COO at Vivint Smart Home, and was an Executive Vice President at Xerox. Earlier in his career, David was a consultant with Bain & Company, and The Monitor Group. In our discussion, David shares his thoughts on how to make failure positive, the importance of a plan and maintaining momentum, helping ordinary people do extraordinary things, incentivizing your team members effectively, the upside and downside of data, bending light, and running towards the fire, staying curious and questioning the status quo, and what happened when he was 14 years old that changed the course of his life. Let's dig in. David, it's great to be with you, today. It's good to see you, again, Brett. Wonder if we can start out talking a little bit about Vivint Solar. Tell me a little bit about the company. Great, so we are one of the largest solar companies in the United States. We do residential solar. We have about 3,500 employees, we're in 21 states, we're public. We went public on the New York Stock Exchange back in 2014, and so, that has been a fun venture for us, as a company. We're also majority-owned by Blackstone, out of New York City. We do residential solar, we have about 120,000 customers, at this point. We've raised over $3 billion, and we do, basically, everything from financing up front, last year we raised about $1.2 billion in financing, we do all of the sales, all the installation, all the servicing, and so, it's a fully-integrated solar company, and we're trying to bring green energy to the world. Fantastic. Tell me a little bit about just the relationship between Vivint and Vivint Solar. and doing pretty well. But, they're still, they're very closely related. We collaborate on some joint sales, and there's still a lotta common DNA between the two groups, and a lotta respect, and we enjoy each other's company. Talk a little bit about your first introductions to leadership. What were your first leadership experiences that were meaningful to you, in terms of your present-day leadership? Well, I think you're right, you go back and you learn a lot about your leadership by observation. And, I've always considered myself really fortunate, because I've had great mentors. I mean, from the first days, Steve DeLano at Monitor, just was the perfect manager, when I first started consulting, years ago, back in Boston, where we met. And, Steve taught me a lot about, he taught me a lot about failure, to be honest with you. And, probably one of the greatest lessons I've learned in leadership is that failure is a really good tool, it's a great teaching tool, and to not be afraid of it. I think, growing up, I was always afraid to fail, and, as a result, you really were not taking the risk that you should have taken, you played it safe. And, I think, all the way through college, I was playing it safe. And then, I realized, when I first started to work out in Boston, that if I wasn't failing 20% or 30% of the time, then I was failing, by definition, because I wasn't pushing myself hard enough. And, I think, early on, Steve DeLano helped me realize that I didn't have to be perfect. No matter what, he was gonna be able to help enlarge my thinking, how I viewed the world, and give me feedback. And, I started to seek out feedback and realize, push myself, and, as long as I'm winning more than I'm losing, I'm winning. So, I think that was really formative for me, and then I've had a lot of other really good mentors, throughout the years. And, as you watch them, and how they lead, both good and bad, you learn a lot. But, that first time you get the opportunity to lead, it can be a pretty humbling experience. Absolutely. Failure, I'd love to talk about that some more. 'Cause that's so essential to what I see as the core of great leadership, and yet it's something that we often don't talk about. We don't talk about our failures. People will look at you and say, "Has David Bywater ever failed?" And, they'll go, "Nah, he's always been successful, "look at this, look at this, look at this," and yet, your success is built upon those failures. Talk a little bit about, maybe, an experience you're willing to share, where you had a failure, and what came from that. Well, I think that you have lot. Every day, there are failures every day. And, for us, as a company, we're always trying to push into new markets, with new leaders, we're trying to try out new solutions that are lower cost, better service. I mean, I can't tell ya the number of failures we've had. It's the mindset of, you just gotta fail fast, you gotta fail forward, right? And, that's the concept we always use, as a company, is just fail forward, just make sure that you've learned quickly, you've adjusted, and that you're moving forward in a very, very quick way. I remember, when we were at Vivint Smart Home, that was a change from being, kind of, a security company, into a Smart Home company, and I was the chief operating officer for them, at the time, and we had to think about moving into new products that help customers be more sticky. They saw the value, every day, of what we brought. And, I remember, we went into the doorbell camera, and that doorbell camera was a phenomenal new product, and, but along with it, you had to learn a lot about wifi and communication failures, and customer service, because they were having connectivity issues, and I just remember we all said we'll fail, as long as we can learn quickly. And, it put a lotta strain on the organization to forget how to service customers differently, and install correctly, and you just couldn't, we knew we couldn't not do it, we just had to charge into it, do the very best we could, learn from our mistakes very quickly, and it was all about the speed of adaptation that made the difference for us, there. How do you build that into the culture, because, so often, people, naturally, like both of us, are afraid of failure, and/or are afraid of exposing themselves, in that way. What do you do, culturally, to create an environment where that's not only understood, but, sort of, valued, as long as you're failing forward. Well, I think it's gotta start from the top. You gotta talk about it, you have to let people know that we're after full potential, we're tryin' to, whether it's at a individual level, or at a company level, you're trying to say, "What is the very best that you or we can do," right? And, when you define that, and you say, "It's this size, it's this market cap, "it's this type of market share, "it's this type of customer experience "it's this type of, just, momentum," you know, defining what success is. And then, you say, "Anything short of that, guys, "we're not achieving our full potential." So, that is what our success is. And, letting people, they just get a feeling from you, which is you kinda know if you have the right tone, because people will come to you and they'll ask for your blessings, or, even better, they'll just do it. And, they'll still do it within the confines of I still gotta hit my numbers, I still gotta respect the budget. But, they find ways to fund their innovation. And, I think that's when you know you're succeeding. When people, for instance, right now, at Vivint Solar, I absolutely love, I do frontline Fridays. So, on Fridays, I go out, and I actually go do the job of our frontline employees, whether it's selling, whether it's installing, whether it's on the phone calls, whatever it is, I try to go sit down for two hours, every Friday. And I don't always do it, but I try to do it as much as I can, and do their job, and you learn from them. And, when you're with your employees, and they're telling you about things that they've innovated, and you're like, "Wow, I had no idea." And, this last year, we had innovation in HR about how they recruit and onboard, that I was like, "This is fantastic." We had innovation in customer service on how they understand customer needs, and how they prioritize, and how they service them using data, right? And, I had no idea. It's the same thing in our products, and the same thing in our sales, and in our service. When you see, and you learn about innovation after the fact you're like, "OK, I think I have a culture of this." And, I think, if you're not seeing that, you should ask yourself, "Have I created "a culture of fear to experiment?" So, I think that's probably a good measuring stick. So, separate between the success of the outcome, versus the success of the process or the activity, here. 'Cause we can't control the outcome, typically. We can control the process and the activity, here. How do you capture and help people be accountable for failing well, from a process perspective, or from an input perspective, an activity perspective? Because, that's a different kind of failure. When I fail to meet a expectation of having done the work I was supposed to do, versus having achieved the outcome, maybe, that we were looking for. I think stretch schools make a big difference for us. I've, we've experienced it before, where you get a budget, and you're like, "I don't know how I'm gonna pull that off." You know. There are so many gaps of, OK, I think I can figure out 70% of that, but I don't know how to figure out the other 30%. And, I think that that, "How am I gonna pull this off," is actually healthy for us, because it forces you to think differently, it forces you to approach problems, differently. And, whenever I have given, or have received, kind of, a comfortable target, I think innovation, for the most part, just goes out the window. So, I think that's why full potential is so important, and setting those stretch schools. I've always told our teams, "Look, I'd rather set "a stretch school and have us achieve 90% or 80% of that." And, my 90% or 80% is still far superior than what they would have done on their own, probably 50% of that. So, and then helping them understand that that actually was a success. Right, that the 90% success is a success for the organization, right. It is a success, because we're still so much farther ahead. And then, I think they also gotta realize that you're never satisfied, 'cause you never, ever reach it, you never reach full potential. But, it's the journey. I tell my people all the time, "I don't care where you are, right now. "I wanna know, I don't care where you are. "I'm not gonna grade you on good, bad, about where you are, "but do you know where you are, "do you have a plan, or where you wanna get to, "And, do you have momentum?" Now, we'll debate whether or not the trajectory is steep enough, or not, but, as long as they're showing here's where I am, here's where I wanna get to, and I have momentum, and you applaud that, I have been amazed, over the years, at the percentage of people who will overachieve your own expectations for them. The majority, I learned years ago, the trick. The trick, the true genius of management, is getting extraordinary results out of ordinary people, and most of us are ordinary, yep. Ordinary, indeed. We all are. And, to me, how you do that is you help them to find where they are, where they need to be, help percolate and support their efforts to figure out how to get there. But, when they know that you have their back, right, when they know that you're supporting them, and you're not going to criticize them when they fall down for the first time, but you're gonna pick them up, and you're gonna help them, I have found that 80% of the people will achieve a level of performance that far exceeds their expectations and yours. And, 20% don't, but 80% of people, when you support them, will come very close, or achieve what you hope they can achieve. where they exceed their own expectations of what they want to do. I mean, if you're in, I don't care what you are, if you're principal of a school , whether you're running a company, large or small, if you're in any kinda leadership position, if you don't get extreme joy outta seeing others achieve, then you're probably in the wrong profession. I mean, you should not be a leader. That is a large, large contributor to why we do what we do, the stress we go through, the challenges we go through, it's because you see that fulfillment at a personal level, and at a collective level. How do you, sort of, reward, sort of, celebrate, honor, people that are a success at Vivint Solar? What do you do to, kind of, help them see that? Well, we do a lotta different things, I think Vivint Solar really, on the sell side, they treat every employee as an athlete. And, really, they play into that, they like to recruit. And, we all think we're inner athletes, at some point, or were, at some point. But, we really play upon that. We have almost like a SportsCenter profile on every salesperson, and they see how they're doing their first 60 to 90 days on the job, compared to the greats. And, you can forecast out how well they'll do. And, we have a thing called the league, where you literally have different levels of performance. And, for a long time we compared a salesperson against everyone, and we're like, wait, that's not very effective. Let's actually put them into their respective classes, are you a true freshman, are you a true senior, kind of a where are you in your maturity, and then, let's compare you against that group. And, we celebrate it, every week we have podcasts, we really call out exceptional performance. And, it's that unit of one, of having them feel like they really are known, that their results are tracked and transparent, and you celebrate their successes, and you encourage 'em to go in a direction, but you give them comparative economics, kind of, how they're doing, compared to other people. Like I said, people, when they see that, and they feel like you're supporting them, most of 'em wanna rise to the occasion, or they'll leave. Right, that's not the place for them. Not the place, and that's actually a success. Right, having them go find something that they can be successful, and then opening that spot up for somebody else, is really healthy for an organization. Easy to be data driven in an incentive-driven environment, we got sales or other incentive-driven people. What about people that are not incentive-driven, or not traditionally incentive-driven. I think that's one of the great misnomers of business. I think we all can be. And, incentives can go the opposite direction, you gotta be very careful. I learned that years ago, when I left Bain, and I had been there for four years after business school, and I knew that, I was like, I can be a career consultant, or I can go run companies, and I always felt like I had to go run companies. I felt that's kinda where my strengths were. And, I appreciated the investment banking, and consulting, and all that background, but I just always liked the human element of running stuff. And, so, when I first left Bain, and decided to go join this company, called ACS, they were big into piece rate. And, what was interesting about that, was over my 10 years, there, I ran a lotta companies for them, large consulting firms, large service companies, and there's just a whole, there was dozens, and dozens, and dozens of companies I ran with them. And, in almost every situation, you could go put in a comp plan that rewarded both productivity and quality. And, it didn't matter, it doesn't matter if you were a HR consultant, or if you were running a call center, or if you were managing a big data center for Nike or Disney. You could always quantify something, and get them to be more driven on performance and quality in almost every situation. Not all of them, but most of them. As long as you got the data. And, the gamification of a job, with the data, and the transparency, most people enjoyed that. And, I really think, especially in our culture, today, the gamification of mundane tasks, or less than mundane tasks, makes it more enjoyable. You seem to be a very data-driven leader, here. The data is central to your ability to both manage the business and inspire other people, here. Sometimes, that's hard to come by, though. And, sometimes, the data you come by isn't the real data, here. What do you do, as a leader, to make sure that you're seeing things broadly, and from all perspectives, here, so you don't get too, sort of, down the rails on one thing that may be misguiding you? Well, data is great, but it also be dangerous. And, if you have two data points, you're like fantastic, I can draw a line. and the great thing about that approach to business is what data do I need, versus what I'd like to have. Let me just figure out what are the bare bones, really go validate that data, make sure it's right, and then you've gotta make a decision. You've got to say, "I have enough data." And, stand away from analysis paralysis, is one of the key requirements to be successful in any leadership role. But, also, knowing what is the right insufficient data. And, I'm sure, like everyone that listens to this podcast, there are times where I've made decisions, 'cause I thought I had a good data, and I didn't. Or, the data changed on me, but that happens. That's part of failure, and you just try to get the best data you can, make the best decisions you can, and, more importantly, own the results. And, but I am a data dog, I'll never deny my roots. That's great, that's great. So, there are couple things we talked about, so far, that, sort of, are beginning to paint a picture for your leadership philosophy, your approach to leadership, maybe data, putting people first, accountability, incentives, things like that, here. Is there an overarching philosophy that you, sort of, subscribe to, that would identify who you are, as a leader? Well, maybe. There are some things that I really hold fast to, and I'll share three of them. I think the first one was, I had a professor at business school, Richard Tedlow. And, it was a business history class, of all things, it wasn't entrepreneurialism, it wasn't finance, it was business history. And, I had heard that this guy's just an amazing professor. And so, I took this class from him, my second year at Harvard, and he made this one comment one day in class, that has changed, literally, probably had one of the biggest impacts on me, personally, and professionally. And, he said, quote, "The secret to life "is to learn how to celebrate the genius of the and, "rather than the tyranny of the or," closed quote, right? "The secret to life if to learn how to celebrate "the genius of the and, rather than the tyranny of the or." And, for me, what that meant was, personally, I can be successful at work, and a great dad. At work, we can achieve our numbers, and do it the right way. And so, it's always that conjoin of the and of good that I bring to work. And, I have high expectations, I demand a lot from our people, but I'm always, like, "Guys, it's the and." You never do something that's gonna sacrifice your integrity, do it the wrong way. Be aggressive, go, go, go, but just do it the right way, it's always the and. And, so many people say, "I can't hit that number." I'm like, "No, you can, and you can also innovate," right? It's challenging people to find that and. And, when we go back to failure and challenging people, it's like, I'm not going to back off the and. Now, we may not always achieve everything, but I'm never going to back off the and. I expect you to do both, I expect you to be really good at business, and at your job, and have a life. A decent human being, and yeah, yeah. A decent human being. So, it's just, it's that and. So, that was really, really instrumental, for me. The second thing is a philosophy to my career that I learned very early on. And, it was when I had left Bain and had joined ACS, which we then sold to Xerox. And, over those 10 years, we grew that company to about $6 billion in annual revenue, and about 144,000 employees, and about 114 companies. And so, I learned early on the secret to my career was go do the hardest thing that my CEO was worried about. Run towards the fire, it was that simple. Everyone else was runnin' away from the fire, and when you run towards the fire, that's where you bring order to chaos. And, there's no one around to pick up the jewels, and it was just phenomenal for my career. And so, I just learned to always run towards the fire. And, it was great, 'cause every year to two years, I'd get a call on a Sunday night at 11 p.m. from the CEO, who says, "Guess what. "I know you've been running company A, B, and C, "and they're so much better. "I need you to go do companies C, D, and E." And I'm like, "Wait, I'm not finished "with A, B, and C, yet." He's like, "Trust me." The good that you can do to finish that off, versus the good you can do, over here, and you're like, OK, my life was gonna be crazy for the next six to 12 months. But, I just always ran towards the fire, and you get opportunities so much faster. You just get access, and just, the bats you have at the plate are just differentially rewarding, earlier in your career than you would, otherwise. So, so many people run towards safe harbors, and in your career, running towards the fire can make a big, big difference. So, you got the and, you got safe harbors, or running away from safe harbors, what's the third? I think the third one, for me, is really simple, and it's that, you've all heard it, but, hard work beats talent, especially when talent doesn't work. I remember when we first went to Monitor. I was a kid from, I went to public school, and went to school, here, at BYU, and loved it. And we'd all go out to Monitor, and they're all Ivy League. It's a different world, indeed. And, I was intimidated. Same thing, when I went to business school. I was intimidated, I was like, I don't think I hang with these guys. And then, you just learn, early on, that they're all great people, they have the same insecurities you have. They've worked hard, but if you will just, absolutely, work harder than everyone else, first in and last out, and will just grind, that there's no substitute for it. And, you just gotta work hard. Brilliant, I mean hard work is clear, but hard work takes energy. Well, I think it's knowing your why, and, for me, it's my family. And so, I work hard for my family, and, I grew up, my father, my father, very humble background, I didn't have any siblings that were professionals, and from a very young age, I've always worked. I've always had a job. My dad, I never, for better or for worse, since I was a very young kid, I never assumed that when I got home from school, that was my time. Or, I never assumed a Saturday was my time, that was never the assumption. It was, "Dad, what can I do to help you?" And then, when the work was done, he would say, "Go do somethin' else." So, I was just raised that way, which is, work, be a cause, go at value. So, fortunately, I was raised that way. And, so I love to work, and I've learned how to love to play more. But, I think I've always just had a penchant for work. Good. What do you do, every day, to stay on the top of your game, what kind of rituals, habits, do you employ to stay on your A game? Simple, I have some, I don't work out enough, I need to work out more, so I try to do that in the morning. But, the ritual I do, every day, is I try to earn my job, every day. So, a ritual I literally do, mentally do, is, when I drive into work, I plan out that day. And, there's always 30 things you wanna do, but I'm always like, "If I don't do these three things, "I will have not earned my job, this day." And, when I come home from work, I go through that same mental exercise, and I'm like, "Did I earn my job, this day?" My dad taught me, years ago, the day you assume you have earned your job, is the day you've assured that you've lost your job. So, you have to earn your job, every day. And, I try to keep that mental discipline, every day. And, there's days where I'm like, "Man, I definitely earned my job, today." And, there's days I'm like, "Holy cow, I did not." But it's just that discipline has always, kinda, kept me motivated, anxious, focused, and, it's fortunately, I love what I do. It doesn't matter what company it is I'm running. I just love growing companies, I love helping companies become better, and I love helping the people that are in those companies, achieve their goals. That's fantastic, here. What advice would you give to an aspiring leader at Vivint Solar, here, that would be different from what you've already said, 'cause you've identified some key things that allow you to be successful. Other, sort of, things that you see that people need to work on, here, or is the keys, pretty much, to follow David Bywater? it's incredible, right, so our early training at Monitor, years ago, kinda got me hooked on that stuff. But, I think, just this world today of trying to make, bring insight from chaotic data, or the lack of data, is just a really exciting world. And so, with my kids, I'm like, the more they can do in that space, which is quantitative stuff, and always questioning, it's just an amazing world, right now. So, I'm really pushin' our people to full potential, quantify, question, and just prove that you are improving whatever you're doing. And, for us, those are the people we pick. I mean, I don't care if you solved a problem in a certain area, just supply chain. I'll take that athlete any day, "You solved a gnarly problem in supply chain. "Guess what, I need you, now, to go solve a problem "that's in a radically different "function, or piece of our business." 'Cause I just value that they can solve problems, and they love solving problems. And, those are the ones that just, absolutely, have meteoric rises in our company. Very interesting. You talked a lot about athletes, and a lot about this concept of treating people like an athlete, here. I use the concept, in my work, of going pro, not being an amateur, but being a professional. And, when you look at the athletes that are truly successful, that you see in your world, athletes, professionals, businesspeople, what is the thing that distinguishes somebody who's an amateur from a professional? Oh, that's a really good question, Brett, and I don't wanna be cliche in my answers. I think that the people who seem to do really, really well in our business are folks that still have that blend for respect and protocol, but a healthy rebel. It's the true rebels that just wanna break glass, everywhere. Some of them can pop out and survive in that world, but, for most of us, it's having that rebellious side in you, but also figuring out how to channel it in the most effective way, and I just, that's key for the guys I see that do really, really well in life, are, they're rebellious, but at the same time, they know how to work with an organization, and move an organization. And, sometimes, it's not about just yellin' and screamin', and breakin' down walls, it's about having that rebellious side, and then motivating others to say, "Hey, I like that energy you have, "you've challenged us a different way." But, they still bring along the organization. We have a gentleman, right now, that I think has done a really good job that way, where he's challenged us on some of the things that we were approaching the business. And, at first, you're like, that's kind of radical thinking. And then, the more we thought about it, we're like, that's actually really insightful thinking. And, it's changed our organization to be able to gravitate towards some of the ideas that he's had, and, at the same time, he smart enough to help bring the organization along to make that happen, so. I see that trait a lot. And, people, once again that have those other traits, they work hard, right, they, absolutely, are humble enough where they earn their job, every day. They don't have that ego or arrogance. Hubris, I hate hubris. I love confidence, I hate hubris. And so, they have a lot of those attributes that... And, they, absolutely, are OK with failing, but they obviously deliver eight out of 10 times. And, when they fail, they contain the mess, so. Good. You talk a lot about, sort of, a balance between confidence and humility, between being risk-taking and careful, and thoughtful, here. And, that's a hard balance for a lot of people to reach. A lot of us tend to, kinda, go to one extreme or another, here. What do you use, in your own life, to bring balance to these, sort of, opposing ideas, here, in your leadership? Yeah, I don't have a great answer for that. Once again, it's just I have worked with some amazing mentors, and I've just seen how they've got it done. When I was at Xerox, I was the COO for Xerox, and we sold ACS to Xerox, and I got to know Ursula Burns. And, Ursula Burns was the first black female of a Fortune 500 company in the United States. Awesome! Remarkable, just breaking through these ceilings. And, I loved working with Ursula, I found that she had this amazing energy, and all these things I've talked about, always challenging the status quo, and challenging people, and all these things, I think, I learned, I watched her do. But, she had this great quote, that I loved, and she said, "Impatience is a virtue," right? So, many of your listeners will laugh at that quote, but it's so true. And, what she meant by that, I think, was if you see something that should get better, you should be extremely impatient to allow that to happen on its own course. Like, go bend light, go do whatever you need to do, to make it better, and don't be patient with the status quo, be impatient. And, I've just, I've seen that in a leader who was just always, always, always, challenging us to be impatient to hit full potential. And, but, at the same time, Ursula, when you talk to her on a personal level, you're like, this lady is just fascinating to be around. She had so many interests, she took care of her health, she, on a personal level, she really engaged with people. It was about the person. And so, you saw her be ambitious and impatient, and demand great things, but then, you also saw the part of her which was, like, I like this person. And, I've seen that over and over again in my careers. The best leaders, to me, seem to be able to really focus on the unit of one, but then inspire the masses. And it wasn't either-or, they seem to be able to do both. And, we all know leaders who may have just over-indexed on one or the other, but, by and large, by and large, I've seen the bell curve, right, the 90% of that bell curve of the leaders who'd really get it done, day in and day out, and across almost all industries, seem to be able to balance both those. I had a conversation with a colleague a few days ago, and she said, "It seems to me that there are a lotta leaders "out there that are not very good, "and yet, they seem to be very successful." And, it's easy to point to public figures that have character flaws, or weaknesses, and yet, seem to be successful, here. In your experience, here, when you look at true leadership, you've implied that most leaders that you've come across that are successful aren't that caricature that we often describe is. I mean, I don't know if her, her observation's probably correct, I just think it's the magnifying glass that people put on it. I mean, every leader I know, I see in them and myself, there're flaws, right, there's just flaws. So, I don't think that that's a surprise. I just think that the microscope that gets put on people over amplify flaws, and then people are like, oh, this must be, I mean they'll take it to the nth degree. And so, I'm not surprised that they're flawed, 'cause we all have our shortcomings, and, I'd tell you what, on that topic, I remember one of the greatest, business school was great, our consulting was great, investment-making was great, but, I swear, I learned more from watching that show The Office, Do you remember that show? I remember, when I first got my first set of companies to run, I would come home, and I'm distressed, and I'd watch, that's all I'd watch, I'd watch The Office, and I'd be like, "I think I did that, today," right? I mean, 'cause they're always making funny of these, funny of these flaws in management. I'm like, "They must have been watching me, "today, 'cause I did that, today." So, that's part of the fun is that you mess up every day, and it's just that the next day, can you just not mess up as much? Or, when you're in that situation, again, can you do it better? And, if you've been doin' it for so long, you hope that you're gettin' eight outta 10 right. Eight out of 10 right. Love that, love that. Let's talk a little bit about some books, some things you read, some ideas you come across that have been really impressive to you, or are there any, sort of, books you've read, or thought leaders you've been, sort of, inspired by, recently? Well, there is a book I just finished, but I've been, I love readin' biographies, and I loved early days, Gandhi, I love Lincoln, I love Nelson Mandela. And, a few years ago, I was in Spain, and happened to, before he passed away, I bumped into 'em and met him, which was just amazing to be able to meet a childhood hero of mine. So, I've always loved it, reading their, 'cause they found a way to do something extraordinary in their lives, where, early on, if you looked at 'em, you'd like, I'm not bettin' on them. If I'm gonna put money on somebody, there's probably nothing about those individuals, in their early years, where you probably said, "Ah, that's a sure bet." But, I love the fact they had a vision for who they were, they found out what their why was, and they were devoted to it, and so, it think, great things happen. But, I just finished listening the book on Steve Jobs, and Walter Isaacson's biography of him. And, he is one of those personalities that was so extreme, and just so charismatic. And, these things we're talkin' about, the fact that he built Apple, and then was fired, and for 12 years, was trying to get back to Apple, right? And, the next computer was not a great success, and then, obviously, Pixar was, but probably wasn't his passion. But, the thing I loved about that, and with him is you also, once again, see that he had a passion for what he did, but what I loved the most was when he was, when he'd gone back to Apple, and he was trying to reintroduce Apple to the world. And, if you recall, there was that ad that they did in 1987, which was to think different. And, if you've listened to that, recently, I just loved how he is talking about the rebels, and it's that the genius is in the rebel who thinks they can change the world. And, at the end of the day, that book, I was like, well, at Vivint Solar we're trying to change the world, we're trying to bring green energy at a cost-effective way, to get rid of a lot of the pollution that we have, today. And, just, I love the passion that we have at our company, 'cause it's like, how do you think different, how do you grow a company, and how do you go change the world? And, out of all the companies I've been associated with, I've never felt like I was changing the world, one household at a time. And, to have 90% of Americans say they want more solar, rather than less, it's like, OK, I'm finally doing something where I have consumer sentiment on my side, Republican, Democrat, Independent, they're all supportive for it. I like my mix, right now. I like my monopoly, don't mess up my cheese, here. And so, you're really tryin' to innovate and disrupt that world. And then, you have your kids when you come home at night, and they're cheerin' you on. And, they're literally like, "Are you winning or losing? "And, Dad, it's too important not to win." And, you hear your kids talking about that. And you think about what Steve Jobs, you know, I'm like think differently, change the world. When you get those Venn diagrams overlapping enough in your life, at certain part of your careers, you're just grateful for the opportunity, and you love doin' it. Now, you've mentioned several times your why, and this is a perfect intersection of things that are both your passion about from the business perspective, but also just have inherent value and worth to the society we live in, right now. Yeah, so, we're doin' our best, and I'm enjoying the journey. That's great. Couple of questions for ya, just quick yes or no, or, sort of, one way or the other. Do you lead from the front, or lead from the back? And, the trick to business, in my, is both of you understanding where you are in that two by two, being OK with it, having dialogue about, "Hey, I need help, "and I have no reservations to ask for help." And, me, saying, "Great, I would love to help you." And also, at the same time, I don't need your help, and pushing back, and me saying, "That's OK, push back on me." When you really figure out where you are, and the situation, and the person, and it may be, in the same meeting, you may be all over that map. And, when you figure out how to do that, individually, and as an organization, then you can really get things done, quickly. So anyways, answer is depends. Awesome, awesome. Communication style, sort of direct, to the point; tactful, less direct. I would say, I think I'm really good at the individual level. I need to communicate more at a broad level. I always have to have my communication director remind me, "Hey, we gotta go talk to the masses." And so, I don't sit back, thinking about, "Hey, how do I put out a grand vision?" I'm always in team meetings, unit by unit, by unit, really working with folks, so I think I excel better in those smaller groups, and working to improve on the broader group. I used to be a heavy doer, a poor listener. And, over the years, I've learned to become a better listener, and I delegate more on doing. But, I've learned to listen a lot more, over the years. How's that changed you, as a leader? It helps. You just, sometimes, you realize that listening, as people talk things out, they'll solve their own problems, one. Two, you're always trying to validate what is the true situation. And so, with my directs, they all know I'm always gonna do skip level interviews. I will always build a relationship two or three levels down in the organization, And, they've come, they're cool with it, they're cool with the fact that I will go get enough data to validate that what they're saying is true. And so, I try to listen more, and I try to have sounding points throughout the organization. And, I'm always pinging people, and not in a way to have people feel insecure, it's just the opposite. It's like, hey, I've heard this, that's exactly what I'm hearing, and they're like, great, it's a validation. But, you do it enough, the whole organization says, "I better call it straight, "I better give it to him straight." That's right, 'cause he'll know. He'll know, and that's what you want, right? You want just, whether it's good news or bad news, give it to me straight, and I'll give it to you straight. I just wanna know where we are, like I said, before, and what the plan is to get better. And, if you have that culture, I think you can make progress a lot faster. Do you find that people, once you do that, are more willing to be straight with you? I think so, I think so. I mean, they know who you are, and the thing is not overreact. When they, first time they give you bad news, it's that first reaction, usually sets the tone for everything else, and you should be able to listen and say, "What can I do to help you?" Because, if that first interaction you shut them down, it's hard to ever have them come outta that shell, again. And, that has reverberations throughout the organization, so you've really got to be OK with bad news, have people feel confident to give you bad news, but always with a plan on how they will actually turn it around. I think I'm very internally, yeah. For me, I'm very driven by achievement and experiences, and it's never really been the accolades or other things that have really motivated me. I've always had this strong desire to just achieve, against a set of goals I set for myself when I was 14 years old. I still have that list, and I still look at it every year. And, my new goals for the year are all about advancing that list that I started when I was, and I've added to that list, obviously, but it's amazing how my life has been largely driven by a list I put together when I was 14 years old. We gotta talk about this, here. So, what motivated you at 14 to come up with a list? I met this guy named John Goddard, which was a modern-day explorer of the world, and he met me, he came to my school, junior high. And, I met this guy, and I thought, "Man, that'd be the perfect job." I was just born 200 years too late, or 300 years too late, right? But, he said he had this list that he wanted to accomplish in life, and when you're 14 you kinda have a narrow view on life, but it had things like, for me, which was learn so many languages, or I wanna go to 50 countries, I wanted to go to an Ivy League school. These are things that there's no reason why I would want, I grew up from a small, little farming community of 5,000 people. And, I met this guy, and he's like, "Think big." And, I was like, "Think big, what does that mean?" Right? And so, one day I sat down and wrote this list, I was like, OK, well, this is me thinkin' big. It may be small for some people, or it may be huge for other people, but it was the first time I really said, "OK, what is this horizon I should have in my life? "And, what are things I want to accomplish?" And, so, it's just funny, I go back to that list, and most of the list is checked off, now, and I've, obviously, added new things to it. But, I'm very internally driven against the list that I have, that I said, "When my life's over, I want to have done these things, "experienced these things, learned from these things," and it's been a good beacon for me, so far. Fantastic. Well, David, thank you very much for sharing a little bit about your style, your approach, and the work you're doing at Vivint Solar. I think I am on Facebook, that's pretty much it. But, I'd love to keep in contact with people, and it's always easy, I'm just at DavidHBywater@yahoo.com, I'd love to hear from people, and they can find me on Facebook, or they can just give me a call at Vivint Solar. Fantastic, David, thanks for your time, today.